Almost every day we hear about a new problem with popular tech devices. For example, we wrote about the screen problems with the Fitbit Charge 3 and the battery issue with the OnePlus 6T yesterday. The latest bug we are hearing about is related to Apple’s FaceTime. 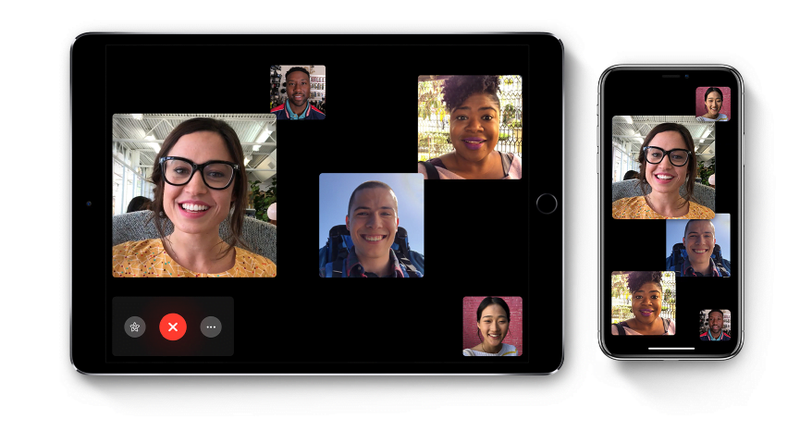 It’s so serious that some experts recommended that users disable the future, but thankfully, Apple has done so on its end, which is why it Group FaceTime isn’t working right now. What is the iPhone FaceTime bug? The iPhone FaceTime bug seems to be a widespread issue because affected users are flooding social media and product forums with complaints about it. Users claimed that when they called someone via FaceTime and the person they called didn’t pick up, they could still hear them. The iPhone FaceTime bug seems to affect mostly iOS devices running on iOS 12.1 or later. The bug was non-existent in iOS 11.3 because it doesn’t have Group FaceTime support. The issue represents a major privacy concern which could lead to many embarrassing situations. For example, you can listen to someone’s ongoing conversation or others can listen to yours. In some cases, someone receiving a call may not be in the mood to speak to the caller, so they may say something negative about the caller, which they will be able to hear because of the bug. As of now, there are no workarounds for the iPhone FaceTime bug, except for disabling the feature or simply remaining alert when you get a FaceTime call until Apple pushes out a fix. Thankfully, the company is aware of the issue and has assured a fix soon. “We’re aware of this issue and we have identified a fix that will be released in a software update later this week,” an Apple spokesperson told Reuters in a statement. It appears the iPhone FaceTime bug was not just limited to audio, so it is possible that video was being also transmitted to the caller. According to 9to5Mac, if the person being called pressed the Power button from the lock screen, their video was also sent to the caller. Moreover, 9to5Mac claimed that there were also other ways to trigger the video feed, like by pressing a volume button. Additionally, the issue was not just limited to iPhones, 9to5Mac was able to replicate the issue by using an iPhone to call a Mac as well. A point to note is that a Mac rings for much longer than an iPhone, so your privacy is exposed for an even longer period. Now if someone tries to convert a regular FaceTime call into a group call, the original call will disconnect. Regular one-on-one FaceTime calls should still work. The iPhone FaceTime bug is a big blow to the reputation of a company like Apple, which has always prioritized privacy over other things. What’s even more embarrassing is that the discovery of the bug coincides with “National Privacy Day” in the U.S.